Offering a variety of massages ranging from Deep Tissue, Hot Stone Massage and Couples Massage as well as Skin care and Body treatments. Check out the many services we offer and book yourself a spa day while you're here, you deserve it! Blue Sky Massage offers several types of massage services to fit your individual needs. Discover why we are the locals choice for specific bodywork and how therapeutic massage can help to rejuvenate your body and leave you feeling stronger and healthier physically and mentally. Integrative Massage: Based on traditional Swedish techniques this massage features light to moderate pressure that increases circulation,eases muscle tension and improves flexibility. The body is left feeling relaxed and invigorated. Deep Tissue Massage: This massage focuses on realigning deeper layers of muscles and connective tissue. It is especially helpful for chronically tense and contracted areas such as stiff necks, low back tightness, and sore shoulders. The movement is slower and the pressure is deeper and concentrated on specific areas of tension and pain. Hot Stone Massage: A luxurious and relaxing massage combined with deep heat therapy. Smooth, polished basalt stones are heated and incorporated into the massage. The perfect treatment to loosen tight muscles, relieve stress and ease tension. Couples Massage: Experience a luxurious relaxing massage for two performed by two different therapists in our Couple's Suite. If you're looking to get away for a special occasion or intimate rendezvous, this massage is for you! Advanced booking recommended. Prenatal Massage: This gentle safe massage encourages relaxation by focusing on specific muscles that experience strain during pregnancy. Must be during your second or third trimester. *Please notify us when booking your massage that you are pregnant. Myofascial Release: A very specific type of massage treatment that focuses on the fascia of the body. Myofascial work can release fascia allowing proper circulation and freedom of movement to the affecting muscle groups. Cupping with Massage: Cupping is an ancient form of alternative medicine that can be used in many ways to alleviate pain, scar tissue, inflammation, and issues with blood circulation. While massage produces similar results by compressing the muscular structures, cupping uses negative pressure (suction) to lift the tissue. This suction pulls stagnation out of muscles, drains excess fluids from joints, loosens adhesion’s, and brings new blood flow to the affected area. Cupping can be effective as a relaxing detoxification technique on its own, or incorporated into a deep tissue massage to aid in releasing muscles. Cancellation Policy Should you need to cancel your appointment, we require 24 hours notice. 50% or more will be charged to late or no show appointments. We proudly use Sanitas Skincare®, Scientific Organics®, Rawceuticals, Young Living Essential oils, and Biotone® professional products. Our commitment is to create and provide healthy, effective skin care and wellness to improve the skin and enhance holistic health. Blue Sky Signature Facial: A purifying treatment that addresses the special needs of the skin, calms, re hydrates, and restores the skins radiance. Simply Organic Facial: Gentle but effective fruit acids help resurface skin for noticeable glow. Active ingredients include grape stem cells, kombucha, spirulina, algae and tea extracts which help improve skin tone and reduce the visible signs of aging skin. Anti Oxidant Anti Aging Facial: An intensive treatment that brightens and stimulates the skin, increases cell turnover and improves micro circulation. Using quality AHA ingredients, peptides and plant stem cells. Problem Sensitive Skin Facial: This facial is specifically designed to help resolve skin issues such as Roseacea, Acne, and Inflammation. Sensitive skin is calmed, oily is normalized. Includes extractions and balancing lymphatic face massage. Express Facial: This facial includes a skin cleansing, steam exfoliation, blissful massage of face, neck, and shoulders and treatment mask. Balancing Stone Facial: Balancing Stones add additional luxury to the benefits of our Signature Facial. Hot and Cold stones are used throughout this facial to balance both the skin and the mind. The stones gently stimulate circulation and increase the delivery of oxygen. Teen Facial: Our estheticians will properly address dry, sensitive, combination and blemished skin, all while teaching teens techniques to use at home! Microdermabrasion with Facial: Dermasweep is a revolutionary new particle-free microdermabrasion that uses an innovative bristle tip technology which causes less irritation to the skin, while at the same time allowing a more comfortable aggressive and rejuvenating treatment. Packages available. Chemical Peel: Reduce and correct the signs of aging with this moderate to deep peel. Whether its redness, hyperpigmentation, or reparing past damage. Please call for a consultation. Dermaplaning: A safe painlesss way of exfoliating the skin & helps remove unwanted "peach fuzz" from the face.. Using a blade we shave or remove the dead skin cells from the epidermis. A facial is added to enhance this treatment. Eyelash and Eyebrow tinting: Your eyes are gorgeous, and your lashes too. But imagine what professional eyelash tinting and eyebrow tinting will do for the depth and color of your eyes and the definition of your face. And if you simply can't stay out of the water, imagine not needing mascara. Waxing: We offer a variety of waxing services please see our service menu for a detailed list of prices. The Sole Escape: Treat yourself or a loved one to a day of true splendor. To unwind the body you will start with our 60 Minute Blue Sky Integrative Massage then finish with a unforgettable pampering of the feet! 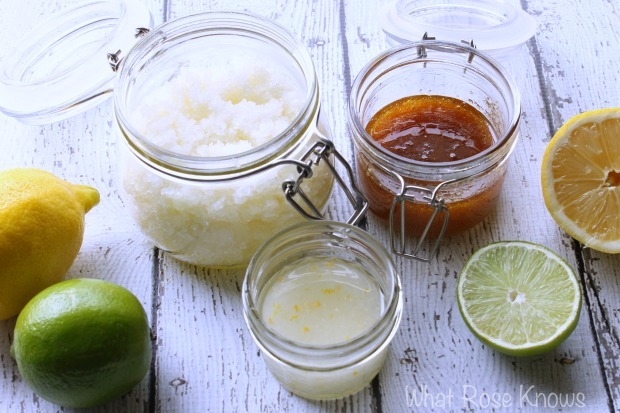 Using Keyano Aromatics products, we gently exfoliate your feet, using a coconut lime salt scrub, then a hot stone foot massage topped off with our sole survivor foot balm containing rich shea butter as well as botanical extracts from coconut, lime, calendula and comfrey. Aromatherapy Escape: Your massage begins with our Classic Swedish Massage. A series of Essential oils are then applied to the spine to help detoxify the body and strengthen immunity. Your therapist will pick essential oils to compliment you and your individual needs. Hot Stone Couples Experience: A luxurious and relaxing massage for two combined with deep heat therapy. Smooth, polished basalt stones are heated and incorporated into the massage. The perfect treatment to loosen tight muscles, relieve stress and ease tension. Essential Express: This package combines the best of the best at a economic price! Enjoy a Rejuvenating Express facial for 45 min and a 45 Minute Relaxation Massage. You will look and feel fantastic without breaking the bank! Karen - Studied at the Massage Therapy Institute of Colorado in 1999, Karen has training in a variety of Massage modalities, from Relaxation to specific Deep tissue bodywork and Neuromuscular pain relief. Karen has a Medical technician background. She added an Aesthetic Skincare license in 2005 with extensive training in Microdermabrasion, and Chemical Peels. Karen believes wellness starts from good health habits, regular bodywork, and keeping a clear mind on your goals. Tim - Tim has over 16 years’ experience as a Massage Therapist graduating from Massage Therapy Institute of Colorado. He is well known in the Valley for his Deep Tissue work. Tim helps his clients improve range of motion, and provides support for injury recovery. His techniques include Therapeutic Massage, Deep Tissue, Neuromuscular Release, and Myofascial Release. Sheila - Sheila is a board certified Neuromuscular Therapist with extensive training in anatomy, medical massage, and trigger point therapy. This type of massage is commonly used for athletic injuries, chronic pain rehabilitation, and posture issues. Her goal with every client is to assess imbalances in the body and help the muscles function together properly. She utilizes a variety of techniques including deep tissue work, myofascial release, and relaxing swedish massage depending on the individual client's needs. Rainie - Rainie graduated from Brenneke School of Massage located in Seattle Washington in 2000. Rainie has specialized training in Therapeutic, Deep Tissue, Prenatal, Hot Stone, and Swedish Massage. She believes in listening to the client and using a variety of modalities to pinpoint the needs of the client's body for each session. She is known for her "Nurturing Deep Tissue" to ease the mind and body into relaxation. Rainie also is a Licensed Esthetician and leaves her clients skin glowing and their mind and body rejuvenated. Juliana- Originally from Brazil, Juliana chose Winter Park as her home for the last 15 years. She graduated from Denver Integrative Massage School and also received Reiki Level 2. With a combination of the techniques from Swedish, Deep Tissue, Myofascial, Sports and Thai Yoga Massage, she can nourish the body with the healing art of touch. Amy- Amy graduated from Fox Valley Technical College in her hometown of Appleton, WI with a technical diploma in Therapeutic Massage. She uses her background as a Division I athlete and knowledge of Swedish, Deep Tissue, Sports, and Myofascial modalities to personalize each session according to the client's needs. Each client is met with the intention to provide relaxation, rejuvenation, and lasting relief. Natalie- Natalie Is originally from Nova Scotia, Canada but now proudly calls Colorado her home. Her massage practices are Swedish, Sports, and Deep Tissue. Natalie has a deep sense of intentional bodywork and her main concern ensuring a safe and relaxing massage for all. 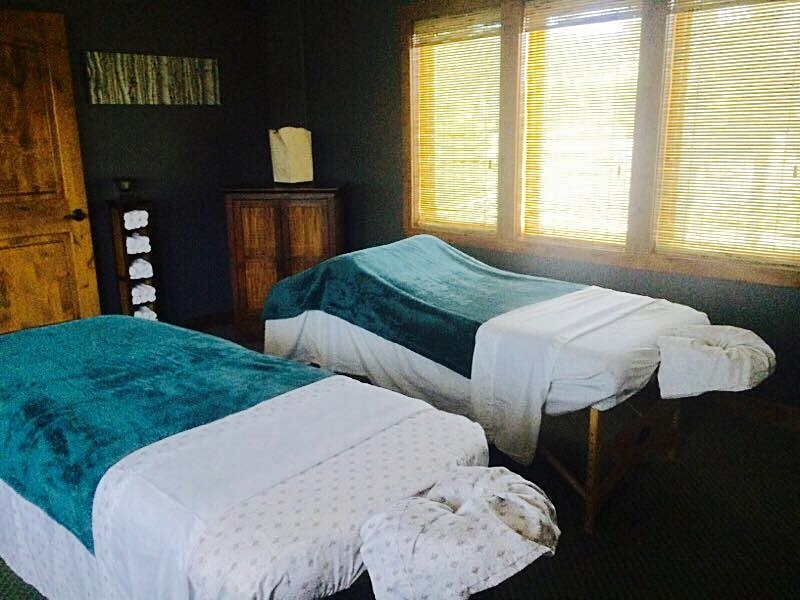 Blue Sky Massage is the Locals choice for Massage Therapy and Excellent Customer Service. Arrive Early it is best to arrive 15 minutes early to your scheduled appointment to ensure you are on time. Each service is scheduled to begin on time for your convenience and for the next client. Cell Phones We ask that you turn your cell phone off during your visit at Blue Sky Massage. Please be considerate of other guests. Gratuity Please note that gratuity is not included with services, but you are welcome to leave gratuity at the end of your appointment with your therapist. Location We are located at 21 Kings Crossing Road, Unit 201 in downtown Winter Park. The massage therapy given here is for the purposes of deep relaxation, stress management, reduction of muscular tension and developing holistic personal awareness. All massages are non-sexual. If sexual advances are made or sexual intentions relating to the session are made known, we WILL terminate the massage immediately. We reserve the right to refuse to work on a person under the influence of alcohol or drugs. We treat all client visits and conditions as confidential. As such, we will not discuss your visit with anybody outside of our staff without your express permission. You may choose to talk or not talk during the massage. Conversation will be guided by the client. It is the responsibility of the client to keep the massage therapist informed of any medical treatment currently being taken, and to provide written permission from the physician,chiropractor, physical therapist, etc., that the massage may be continued. The client must also keep the massage therapist informed of any changes in health conditions. For clients undergoing chemo and radiation therapies - Please note that we require a doctor’s note that states the doctor is aware of, and agrees to, the desired treatment. Take 30% off any Massage Therapy Service! Must call to book in advance , offer expires June 15th, 2019. Massage only not valid for Facials, waxing or Body Treatments. There is nothing like being pampered. That is what makes spa gift cards such an attractive and easy present for that special someone. To see our list of services & prices please click on the icons above, thank you! Should you need to cancel your appointment, we require 24 hours notice. 50% or more will be charged to late or no show appointments.